We offer a complimentary initial consultation for franchisers, franchisees and multi-unit operators. Boeckermann Grafstrom & Mayer offers a full range of services tailored to meet the particular needs of the franchise industry. BGM has successfully worked as business advisors and accountants to the franchise industry for over 40 years. As a franchise accounting specialist, we understand the needs and issues facing today’s franchise businesses. We have the necessary expertise and in-depth industry knowledge to ease the burden of financial reporting and tax planning, leaving the franchisee or franchisor more time to concentrate on building their successful franchise business or network. We can help you overcome the challenges of managing a single unit or multi-unit franchise. Our business advisors go beyond the traditional role of accountant and tax advisor and provide strategic advice and consultation to improve financial stability and enhance profitability. Whether you are a franchiser, franchisee or a multi-unit operator, our extensive experience means we are well-placed to meet all of your business needs. We offer a complimentary initial consultation for franchisers, franchisees and multi-unit operators. 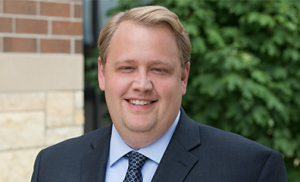 Contact Dane J. Boeckermann, Principal of BGM, at 952-844-2593 or djboeckermann@bgm-cpa.com to schedule a mutually convenient meeting.